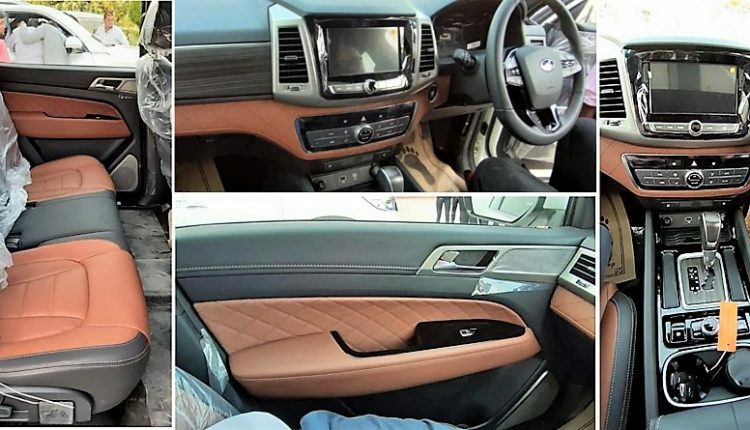 The recently leaked images of Mahindra Alturas interior confirmed that the product is an instant hit among SUV buyers of India. Taking the premium feel to another level, Alturas comes with dual tone finish with a wooden finish on the dashboard and center console. Unlike the flowing designs, the photos confirm that the Alturas interior is elegant, purposeful and unconditionally beautiful. The brushed aluminum finish around the air vents and gloss black bezels of the touchscreen infotainment system further define attention to detail from the Indian UV brand. The gearbox lever is housed inside one perfect wooden section while certain controls are available next to the storage area. The leather-wrapped seats are color coded with the door section, dashboard, and overall interior theme. 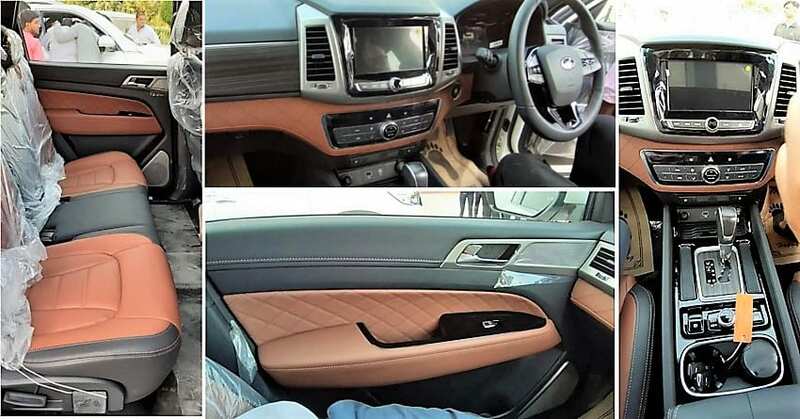 The quilted leather pattern on the dashboard and door looks premium and metallic finish on the door handles (inside) and speakers further confirms attention to detail at all levels. The steering wheel is well designed, getting every button that one needs while driving. The console is a twin pod analog unit with decent-sized MID. 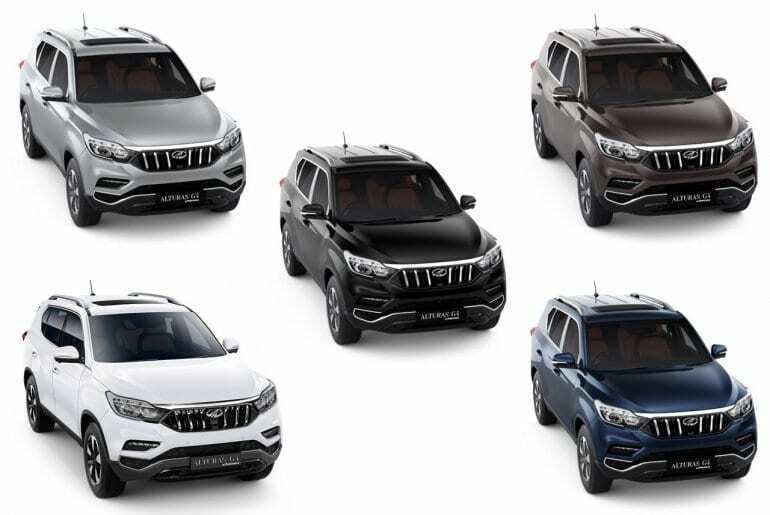 Apart from the interior details, another confirmed fact is that Mahindra Alturas will be available in Napoli Black, Regal Blue, Lakeside Brown, New Pearl White, and Dsat Silver. Mahindra will announce the pricing for new Alturas on November 24. They are bringing two variants named G2 and G4 for the buyers, most probably differentiated by the addition of four-wheel-drive option on the latter. As rivals Toyota Fortuner and Ford Endeavour are heavily loaded with features, Alturas can offer the same sort of equipment by undercutting them with a considerable margin. The expected price range for Alturas is INR 23-25 lakh (ex-showroom). The 2.2L engine used here is good for 187 HP and 420 Nm of torque. The engine comes mated to an automatic gearbox as standard.